What was once a roofing material on the fringes and off the radar, homeowners are now embracing and choosing metal roofs as the leading roofing option in Chicago. Current metal roofing statistics have revealed that roofing contractors have seen a rise in both commercial and residential metal roofs, with a majority of their roofing projects, in fact, being completed as metal roofs. If you reside in the Chicagoland area and you’ve been considering a metal roof, now is the time to invest! You may know that a metal roof is the superior roofing material, but that may be where your information ends. 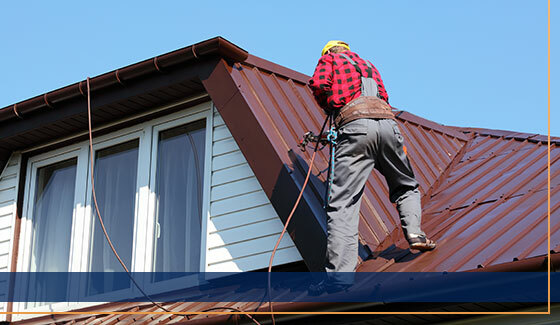 Together, we’ll dive into metal roofs and examine why they’ve become the preferred roofing material, but first, a little background information on our roofing company. With experience and roofing skills that span three decades, we’ve been serving the Chicagoland area with durable and long-lasting roofs that can withstand all the severe weather mother nature pitches. When you visit our website you’ll notice we have a page dedicated to the awards and certifications we hold — and that is no accident! From being awarded a certificate of achievement as an Atlas Pro Gold Level installer to a host of certifications including a Master Craftsman and a being a Metal Sales Preferred Contractor — those are just the beginning of our roofing awards and certificates, check out our comprehensive qualifications here. Growth requires continuous learning and development, and that is at the core of our team. We’ve been in the roofing industry for over 35 years and that hasn’t stopped us from learning new innovative and skilled roofing techniques — we don’t just stop. We want to offer our customers the premier roofing services in Chicago and that entails continual learning and adapting in the roofing industry. The heart of our company is Jim Klingbiel, Jeff Maxick, Don Kelly, and Scott Gross — learn more about their skills and experience here. Embark on your metal roofing adventure with us! It begins and ends with you in mind. We’ve built our reputation and exemplary rapport with clients not only by our high-quality work but how we treat our homeowners. We understand that investing in a metal roof is a big decision and we don’t take that lightly — we work with you in mind. We know that metal roofs are more expensive than other roofing materials, and while we always recommend them for our Chicagoland clients, we’ll work within your budget to find a solution and cost that meets your needs. Having roofers at your house banging around is never anyone’s idea of a perfect day (or week), and we know this. We are here to work around you and how you run your household, to make it convenient for you. We’ll work with your schedule for a metal roofing job that is done within an acceptable time frame. Customers like to be-in-the-know, so we are here offering up the best communication for you! We’re happy to meet with you and discuss progress on the project, or you can always expect to get a friendly voice anytime you call! Want to elevate your eco-footprint? Because we consistently put our customers first, we recommend a metal roof for our Chicagoland residents. We know how amazing metal roofs are and we’re only doing right by you by advocating them. You may have some hesitations or questions regarding metal roofs, so first, let’s dispel those. A metal roof is unattractive and will never fit with my home’s exterior aesthetics. If there is one thing we understand, it’s curb appeal. Gone are the days of metal roofing material being strictly green. The metal roofing industry has expanded and there is an option designed to fit every home architectural style with the benefit of being more durable and stronger. Metal roofs have evolved into a variety of styles, patterns, and colors. If you love the look and style of slate, chances are, there is a metal roofing option available that fits that criteria. A metal roof is too expensive. Homeowners sometimes get a sticker shock when it comes to investing in a metal roof. But, it’s just that, an investment. Metal roofs are more expensive — up front — compared to traditional asphalt shingles, but they pay for themselves over time. Yes, metal roofing is a superior home product, but no matter what type of metal roof you choose, you will never have to worry about it again. A metal roof is one you can trust and rely on to protect your home and family through the extreme weather Chicago can experience, and one that has timeless aesthetics. A metal roof really won’t hold up to its claimed longevity. This can be a big hesitation from homeowners — we claim that a metal roof will last, but will it really? After making the investment, it would be completely a bust if you ended up replacing it. We know with certainty that metal roofs last two to three times longer than a traditional roof, being between 30 to 50 years. And if you’re ever worried about the aesthetics, a metal roof can be painted instead of being replaced. The main reason why metal roofs last longer are because they will not decompose — a trait of asphalt roofs. Over time with wear and tear, the asphalt begins to deteriorate and the paper made with fiberglass just doesn’t stand the test of time as metal does. 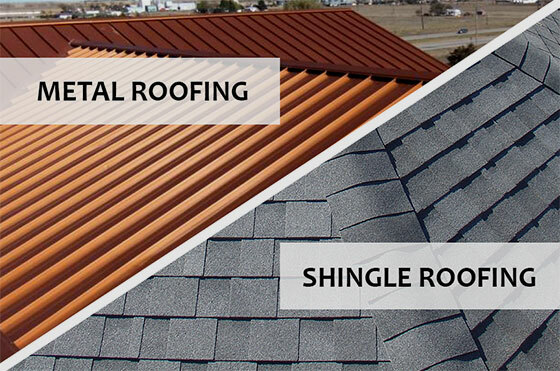 Overall, when paired up against the other roofing materials, metal tops the list because it maintains its aesthetics and longevity throughout the decades. A metal roof is too noisy for me and my growing family. Metal roofing has somehow attached itself to the notion that it’s noisy. Perhaps it’s because when water or hail hits metal it makes a loud ding — this, however, is not the case with metal roofs. Normal insulation buffers any sound and makes them perfect for a growing household! A metal roof won’t withstand Chicagoland weather. It’s isn’t a secret that Chicago experiences some extreme weather — from lake-effect snowfall, in the winter, spring rain and hailstorms, to hot and hummer summers — it gives any roof a run for its money! the ability to shed heavy snow to protect the structural integrity year after year. And, even though wildfires aren’t an imminent threat to Chicago, it can protect your home from fires, should anything happen to land or ignite on your roof. A metal roof is not the best eco-friendly choice. A metal roof is actually great for the environment! Metal roofs are often made from recycled material and when it needs to be replaced, it 100-percent recyclable. When compared to asphalt roofs, billions of pounds are left in landfills each year, which cannot be recycled. Metal roofs are too heavy for smaller homes. Metal roofs actually aren’t heaviest material in the industry! People are surprised to find that metal roofs are both lighter than an asphalt roof and tile as well! So, if you’re in a smaller home, a metal roof is perfectly acceptable. Now that we’ve covered some hesitations and myths of metal roofs, let’s explore why a metal roof is the preferred roof material type in Chicago. Why is Metal the Best Roofing Material for Chicagoland Homes? While any part of the country faces unique weather patterns that may call for a metal roof, however, Chicago experiences a great deal of severe weather and will benefit from the durability a metal roof can provide. When it comes down to choosing a metal roof over another material, truly, they’re resilient in any condition! They are enduring to a wide range of extreme weather patterns that Chicago sees, which makes them the premier choice and recommendation because they will not crack, warp, rot, or rust. What do Chicagoland residents have to worry about? Homeowners spend a great deal in money combating the effects of hail — and your roof takes the brunt of it subjecting it to split, break, crack, and rip off shingles of traditional roofing. Metal roofs are hail-resistant and you may find that your insurance will give you a discount when you install a metal roof. When high winds hit, there is nothing you can do to protect your roof — be proactive and tackle the coming windstorms with a metal roof. It’s also important to keep in mind, that with the wind comes the rain, so if you have traditional roofing, not only can your roof be compromised, but now you have to worry about water damage. Lightning is beautiful when it’s in the distance and away from your home but if it strikes your home, this tells a different story. 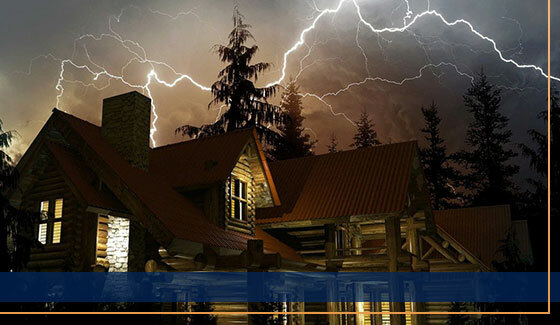 Homeowners often think that metal roofs are prone to attracting lightning, however, this just isn’t true. The probability of lightning striking has to do with many factors including height and size of the structure, land features of the area, and the distance of height and size of other taller structures. If your home is struck by lightning and you have a metal roof, this can actually be a good thing — the chances of a fire igniting and spreading are reduced. Get the roof with the best value!